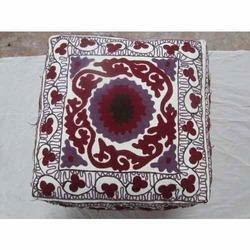 We are manufacturing Suzani Puffs by our expert professionals and best designers. The are very beautiful cushion. They are looking very dashing in your house. They are very comfortable to sit and put your head on it. They are very light in weight and contain lot of foam inside it. They are made of fabric. This will provide you luxurious feeling for your body. We are providing these products at very effective prices. 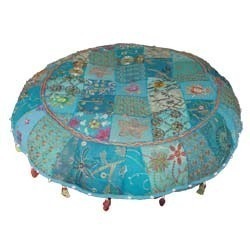 We presents Embroidered Puffs in various colors and patterns. These are made by optimum fine quality of material. These are according to the client requirement. Client can direct contact us for more details.